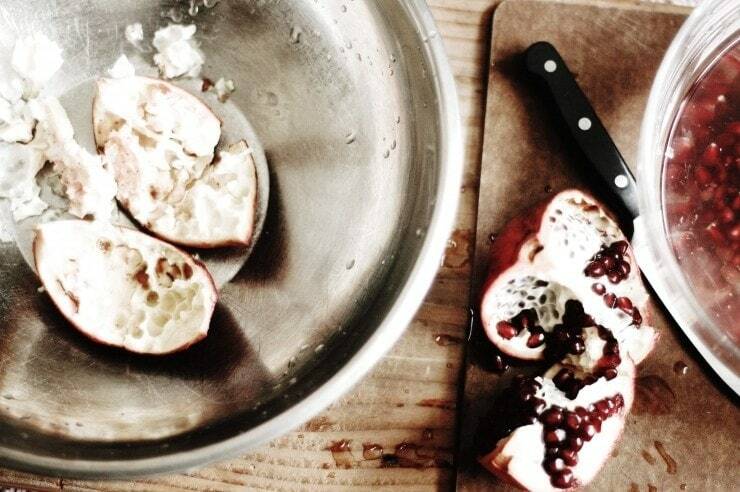 Cutting and de-seeding a pomegranate can be a messy and tedious task. 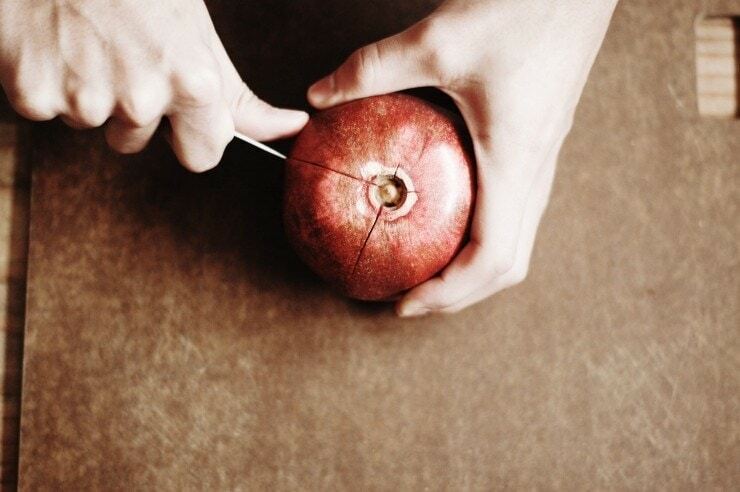 Fear not- here’s a method of How to Cut and De-seed A Pomegranate. It’s quick, easy, and will leave your favorite shirt stain-free. There are many methods of cutting and de-seeding pomegranates, however, this method ensures you get every delicious seed from the fruit little to no bruising. 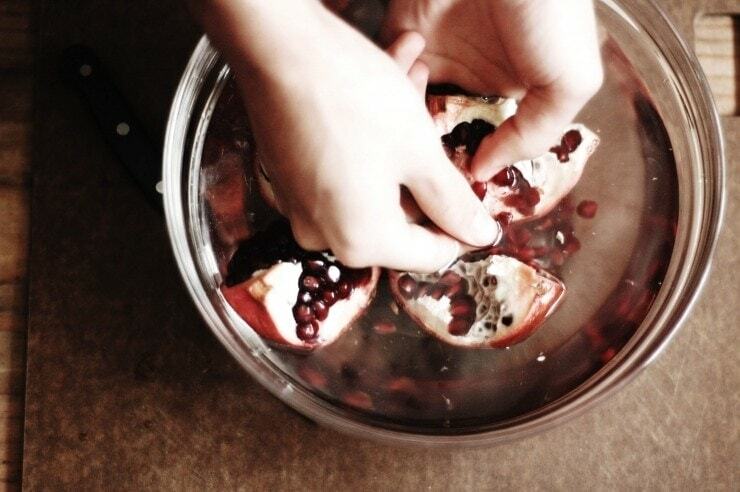 Place the scored pomegranate into the bowl of cold water. Working with one section of the pomegranate (under the water) using your thumb, gently but firmly loosen the seeds from the membrane. Repeat with each section. And smile because pomegranate juice is not flying all over your white kitchen and staining your favorite white shirt. Yay to no stains! Be sure to have a bowl to the side, so you can toss away any membrane– the white pith from the pomegranate- it’s not appetizing. All of the pith should float to the top and the seeds should stay at the bottom of the bowl. Skim off any white pith from the bowl of water. 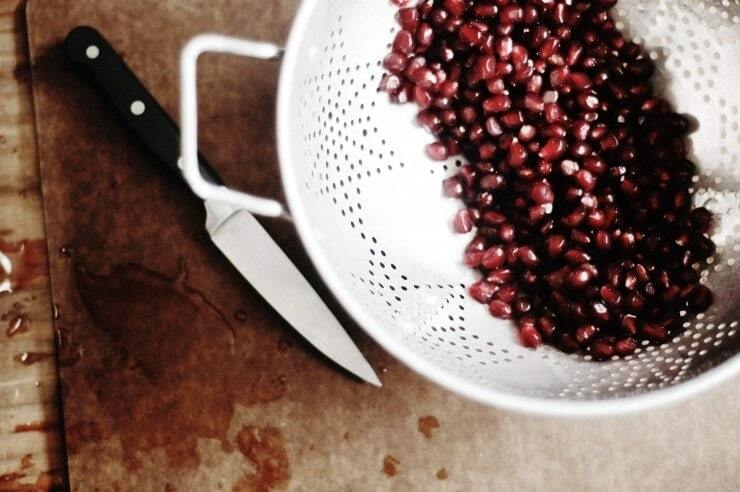 Place the pomegranate seeds in a colander, give them a quick wash under cold water. Then, enjoy! 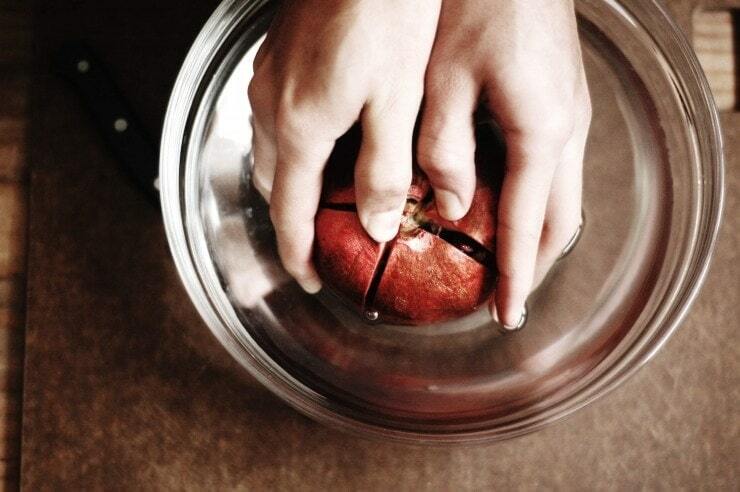 Note: The pomegranate seeds should keep for a couple of days in an airtight container placed in the refrigerator. 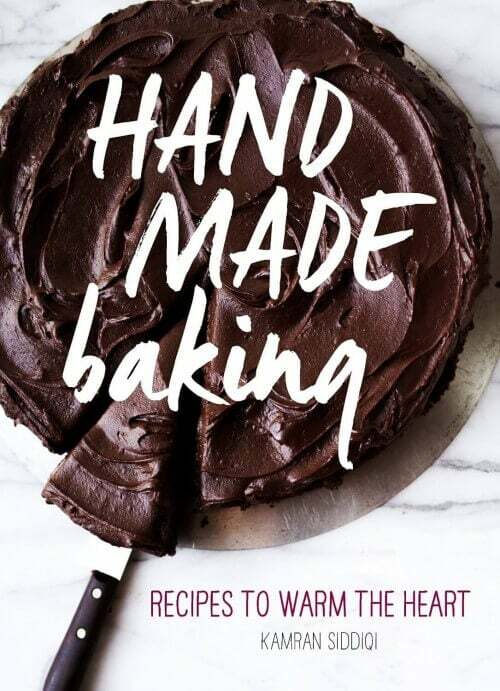 For more how-to posts like this one, be sure to check out our How-To archives. Did just as you wrote today! 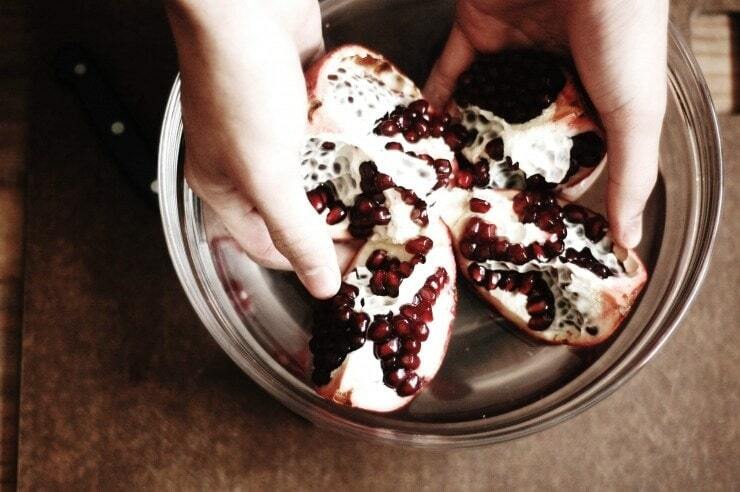 Lucky to get my hands on a couple gorgeous pomegranates….. Usually very hesitant to buy them because of the mess. I love this water method. Doesnt ruin the seeds Ike the spoon methods do and I think the spoons one is a huge mess.